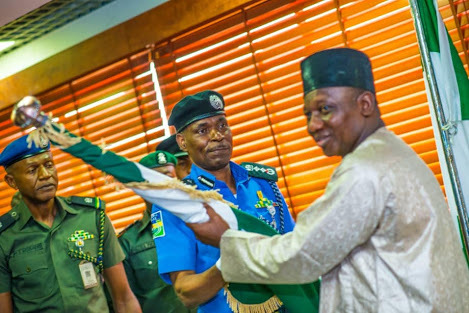 The former IG, who was dressed in a cream traditional wear with black cap, presented the Police flags (standard party) to his successor. The acting IG stated that the NPF had thoroughbred and passionate officials who could hold their own among their peers in the world, adding that all they desired was a transparent, accountable and knowledgeable leader who would be sensitive to their needs. The IG has appointed ACP Frank Mba as the new spokesman for the NPF. The posting is with immediate effect. 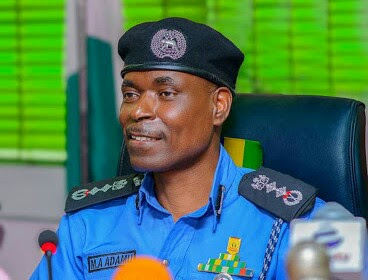 He takes over from acting Deputy Commissioner of Police, Moshood Jimoh, who is being redeployed to another national assignment.